At age forty-seven, a mother of two, Debbie Moderow was not your average musher in the Iditarod, but that’s where she found herself when, less than 200 miles from the finish line, her dogs decided they didn’t want to run anymore. After all her preparation, after all the careful management of her team, and after their running so well for over a week, the huskies balked. But the sting of not completing the race after coming so far was nothing compared to the disappointment Moderow felt in having lost touch with her dogs. 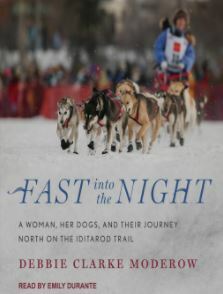 Fast into the Night is the gripping story of Moderow’s journeys along the Iditarod trail with her team of spunky huskies: Taiga and Su, Piney and Creek, Nacho and Zeppy, Juliet and the headstrong leader, Kanga. The first failed attempt crushed Moderow’s confidence, but after reconnecting with her dogs she returned and ventured again to Nome, pushing through injuries, hallucinations, epic storms, flipped sleds, and clashing personalities, both human and canine. And she prevailed. Part adventure, part love story, part inquiry into the mystery of the connection between humans and dogs, Fast into the Night is an exquisitely written memoir of a woman, her dogs, and what can happen when someone puts herself in that place between daring and doubt—and soldiers on. A modest house in upstate New York. One in the morning. Three people―a couple and their child―hurry out the door, but it’s too late for them. 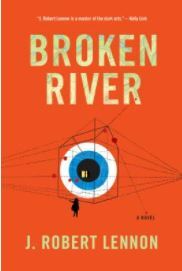 As the virtuosic and terrifying opening scene of Broken River unfolds, a spectral presence seems to be watching with cold and mysterious interest. Soon the house lies abandoned, and years later a new family moves in. 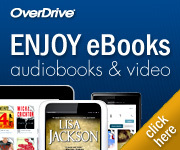 You can also requests books simply by calling the library at: 607-936-3713 x 502.